CAISO this week will gather feedback on its proposal for reliability payments to keep Calpine’s Metcalf gas-fired plant from going offline, a decision drawing scrutiny amid a larger conversation about local resource adequacy (RA) planning. The ISO relies on reliability-must-run (RMR) contracts to keep resources online that are slated for retirement but are still needed for reliability. It has a stakeholder call scheduled for Sept. 26 to gather feedback on its recent proposal to designate Metcalf as an RMR resource. Calpine in June told CAISO that it intends to take the Metcalf plant offline at the end of this year. The company’s request that the ISO study the reliability impact came back in the plant’s favor. “Analysis has indicated that Metcalf Energy Center is in fact required in order to meet the relevant criteria for reliable system operation,” the ISO said in a notice for the call. At its most recent meeting Sept. 19, the board voted unanimously to extend the current reliability RMR contract for three 55-MW oil-fired units at Dynegy’s Oakland facility. CAISO says it will not renew a contract with AES for the synchronous condensers at its Huntington Beach plant, and those units are expected to shut down. The RMR contract for Metcalf will put tens of millions of dollars of costs onto ratepayers, he said, asking the board to work with regulators “to improve the local RA paradigm sooner, not later.” He expects more RMR designations for 2019, which will almost certainly raise customer costs. Part of the problem is the way the RA for load-serving entities is measured, CAISO Vice President of Market and Infrastructure Development Keith Casey said at the meeting. RA is currently measured across a broad area, but individual capacity areas within that territory might have inadequate resources. RMR contracts are pursued when an LSE does not purchase sufficient capacity to meet local reliability criteria, or when CAISO needs reliability service such as voltage support, black start or dual-fuel capability. RMR can also be used to address local market power or protect availability of a given resource that could retire in the absence of a contract. LSEs are required to provide the RA showing by Sept. 15 of each year and have until Oct. 31 to submit their final year-ahead RA showings. CAISO must notify a potential RMR unit by Oct. 1 of each year whether it will extend an RMR contract. The number of facilities under RMR contracts has dropped significantly since the implementation of the RA program and the addition of other types of resources. In 2006, CAISO had 9,963 MW under RMR, which dropped steeply to 3,995 MW in 2007. Today, in addition to the Oakland units under RMR, CAISO has about 1,500 MW under black start contracts and about 160 MW under dual-fuel extension status. 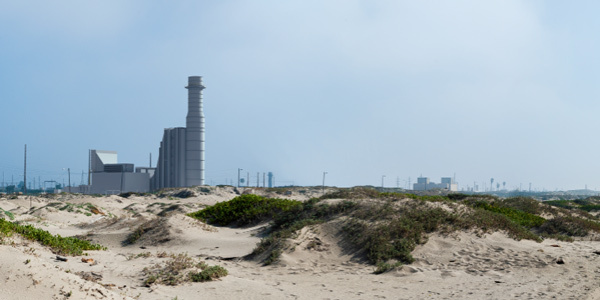 Reliability needs have also led CAISO to conclude that a new gas-fired plant on the California coast cannot affordably be replaced with other alternatives. 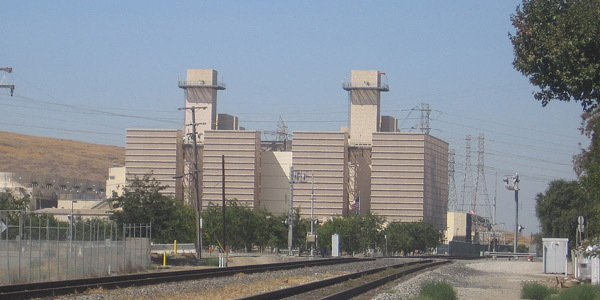 CAISO on Aug. 16 released its study on the 260-MW Puente Power Project, but NRG Energy has run into heavy opposition to its proposal to build the plant on an existing site in Oxnard to replace its retiring Mandalay and Ormond Beach plants. The California Public Utilities Commission authorized Southern California Edison to enter into a long-term RA contract with NRG for the plant’s capacity, and the California Energy Commission is reviewing the construction and operating permit for the facility. The project was approved because 2,000 MW of generation in the area is due to retire by 2020 because of once-through-cooling regulations. As part of its review process, the CEC accepted CAISO’s offer to study whether demand response, energy efficiency, renewable generation and combined heat and power could offset the need for the Puente project. CAISO last month issued its findings in the Moorpark Sub-Area Local Capacity Alternative Study, after gathering comments from market participants. After examining three scenarios, the ISO concluded that Puente would be the cheapest alternative at a cost of $299 million. The most expensive scenario was “incremental distributed resources plus grid-connected battery storage (if the Ellwood Generating Station is retired)” at $1.1 billion, more than triple the cost of Puente. RMR revenue helps keep natural gas a player in the CAISO market as environmental opposition toward fossil fuels is on the uptick. Gas remains the largest component of CAISO’s fuel mix, making up about 54% of its installed capacity of 71,400 MW, followed by renewables at 29%, large hydro at 12% and nuclear at 3%. Oil, coal and “other” comprise about 2%. However, conventional generation such as natural gas makes up only 9% of CAISO’s interconnection queue of 325 projects totaling 58,000 MW, while 68% are renewable projects and 20% are energy storage devices. Aside from RMR, CAISO also has a risk-of-retirement program called the Capacity Procurement Mechanism Risk-of-Retirement Enhancements (CPM ROR) initiative, which is generally regarded as a better alternative to RMR. (See CAISO Finalizes Risk-of-Retirement Program Changes.) That package of market rules is also due for a vote from the board at its November meeting. CAISO wants to use reliability-must-run agreements to keep two Calpine plants in Northern California operating after their long-term contracts expire in December.